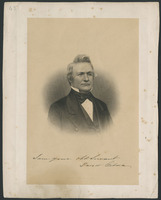 FITZGIBBON, JAMES, soldier and public servant; b. 16 Nov. 1780 at Glin (County Limerick, Republic of Ireland); son of Garrett (Gerald) FitzGibbon and Mary Widenham; m. in 1814 Mary Haley, and they had four sons and a daughter who lived beyond infancy; d. 12 Dec. 1863 at Windsor Castle, England. James FitzGibbon’s father, a farmer and weaver, had a small holding on the Knight of Glin’s estate in Ireland. James left school at age 11 and at 15 enlisted in the Knight of Glin’s Yeomanry Corps where he was soon promoted sergeant. In 1798 he joined the Tarbert Infantry Fencibles, an Irish home service regiment, from which he was recruited into the 49th Regiment of the British army. His battle initiation was at Egmond aan Zee, Holland, in 1799. He served as a marine in the battle of Copenhagen (1801), for which he received the Naval General Service Medal. In 1802, FitzGibbon landed in Quebec with the 49th Regiment; he remained in Canada for 45 years. 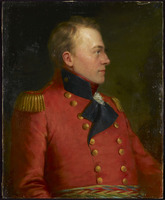 FitzGibbon’s commanding officer, Lieutenant-Colonel Isaac Brock*, encouraged him to improve his education by private study and obtained promotions for him without the usual purchase of commissions. 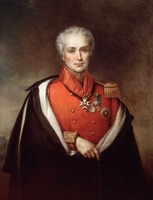 He became sergeant-major in 1802, ensign and adjutant in 1806, and lieutenant in 1809. He resigned as adjutant in 1812, in order to have time to study for promotion, but the War of 1812 intervened. During the war FitzGibbon demonstrated personal initiative. In August 1812 he escorted a brigade of boats with military stores from Montreal to Kingston, navigating the St Lawrence River rapids in view of the American shore. The following January he took 45 sleighs with stores from Kingston to Niagara. In June 1813, after the battle of Stoney Creek, in which he participated as a company commander, FitzGibbon obtained permission to select “50 chosen men to be employed in advance of the Army, and with authority to act against the Enemy as he pleased and on his own responsibility solely.” Operating from John De Cou’s stone house near Beaver Dams, FitzGibbon’s men harassed enemy troops and observed their movements. The Americans, based at Fort George (near the town of Niagara), resolved to send an expedition to dislodge FitzGibbon’s force. Some 500 American troops, led by Lieutenant-Colonel Charles Boerstler, marched from Fort George to Queenston, encamped there for the night, and proceeded next morning, 24 June, towards Beaver Dams. On entering a beech wood they were ambushed by 400 Indians commanded by Captain William J. Kerr* and Captain Dominique Ducharme*. The battle had been raging for three hours when FitzGibbon rode up to the Americans, hoisting a white handkerchief. He bluffed them into believing that they were greatly outnumbered and that more Indians were expected, and Boerstler surrendered. FitzGibbon was widely praised for achieving the surrender of 462 American officers and men to his “46 rank and file.” General Edward Baynes commended him for his “most judicious & spirited exploit,” and the Montreal Gazette spoke of “the cool determination and the hardy presence of mind evinced by this highly meritorious officer.” FitzGibbon’s fellow officers presented him with a gold medal. The coveted promotion came in October 1813, when FitzGibbon was appointed captain in the Glengarry Light Infantry Fencibles. After his coup at Beaver Dams, FitzGibbon served mainly in reconnaissance, observing the movements of American troops. The Glengarry Light Infantry Fencibles were disbanded in 1816 and FitzGibbon went on half-pay until 1825 when he sold his commission. He became a militia colonel in 1826. FitzGibbon began his public service career in 1816, as clerk in the office of the adjutant-general of militia for Upper Canada. His salary was small and his family kept increasing, so he left his post early in 1819 to establish a land agency in York (Toronto) in partnership with Benjamin Geale. His income almost doubled in two years, but in 1821 he returned to his clerical position with an increase in salary. Two years later he became assistant adjutant-general of militia, and in 1827, clerk of the Upper Canadian House of Assembly. 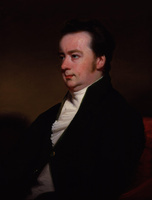 Until 1841, FitzGibbon also served in other capacities in the Home District for varying lengths of time: commissioner to administer oaths to members of the assembly and to administer the oaths of office and allegiance, justice of the peace, chairman of the Court of Quarter Sessions of the Peace; register of the Court of Probate and commissioner of customs. 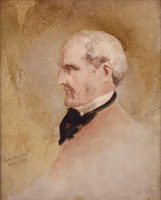 He was also appointed one of two commissioners to report on the La Guayra settlers at Guelph, a member of the building committee for Upper Canada College, one of three commissioners to complete the Parliament House, and member of the Board of Health for York and vicinity in the aftermath of the 1832 cholera epidemic. 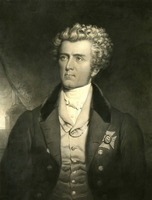 FitzGibbon was indebted mainly to lieutenant governors Sir Peregrine Maitland* and Sir John Colborne for his appointments which, however, carried little power or prestige. It is not surprising that William Lyon Mackenzie selected FitzGibbon as a prime example of government patronage. 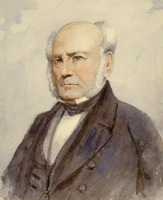 FitzGibbon’s political sympathies were Tory, and after Mackenzie’s printing press was destroyed in 1826, he had collected donations to help pay the fines of the young men involved. Reformers charged that his appointment as clerk of the House of Assembly came as a reward for this action. 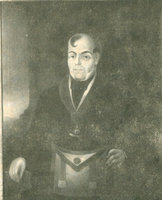 FitzGibbon was a prominent mason, and from 1822 to 1826 he held the highest office in Upper Canada as deputy provincial grand master (the provincial grand mastership was retained in England). He was secretary of the Society for the Relief of Strangers in Distress, and was a founding member, in 1831, of the York Mechanics’ Institute. With his Irish background, FitzGibbon was an effective peacemaker among Irish immigrants. He was sent to Perth by Lieutenant Governor Maitland in 1824 when violence erupted in Ramsay Township between the Irish Catholic immigrants and the Scottish and Protestant older settlers. By “reasoning with both parties, and soothing the irritated feelings of all,” FitzGibbon restored peace. Again, in 1836, when Irish canal workers were accused by settlers at Cornwall of rioting and murder, FitzGibbon was sent to investigate. Lieutenant Governor Sir Francis Bond Head* supplied him with arms for distribution to the local militia if required, but they were not needed. FitzGibbon rode up and down the canal on horseback and “by remonstrance and amicable advice” succeeded in preserving order. FitzGibbon also urged Orange and Catholic Irish in Canada to end their animosity for one another. He discouraged Orange parades and stopped a violent riot in York in 1833 by jailing the participants. FitzGibbon himself was a Protestant whose father had renounced the Roman Catholic faith probably to avoid discrimination under the anti-Catholic laws in Ireland during the 1780s. When a dangerous riot among Tories and Reformers occurred in York in 1832, FitzGibbon showed that his talent as riot-breaker was not limited to clashes among his own countrymen. He single-handedly broke up the fighting in front of Mackenzie’s printing plant. When Mackenzie challenged him to call out the troops FitzGibbon threatened to take him to jail as the chief cause of the riot. Instead, FitzGibbon took Mackenzie home and thrust him inside his own door. The rebellion of 1837 brought FitzGibbon to the peak of his career. He anticipated the outbreak of insurrection and urged Lieutenant Governor Head to take appropriate measures for defence. Head obstinately refused, and even sent all the regular troops to Lower Canada to help put down the revolt there. FitzGibbon took some precautionary measures on his own, thereby irritating Head and his Executive Council who accused him of being over-zealous and an alarmist. On 4 December, however, Head appointed FitzGibbon acting adjutant-general of militia. That night the first two casualties occurred, and the following evening FitzGibbon, defying Head’s orders, posted a militia picket on Yonge St under the command of Sheriff William Botsford Jarvis. The picket intercepted a rebel force marching to Toronto where they expected to be joined by hundreds of sympathizers. Both sides fired a round of shots and fled in panic. It was decided to attack the rebels on Thursday, 7 December. 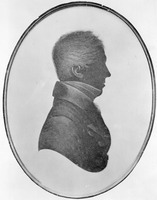 FitzGibbon then learned that Head had asked Allan MacNab, a militia colonel and speaker of the assembly, to lead the attack. Humiliated, for he was the senior and most experienced militia colonel in the province, FitzGibbon protested vigorously, and at the last moment Head gave him the command. But just when resolution was essential, FitzGibbon suffered a mental crisis. Besides being agitated over his conflict with Head, he faced “an organization of the most difficult nature [he] had ever known.” Over 1,000 volunteers had to be formed into companies and equipped with arms that very morning. FitzGibbon had had no experience in organizing troops for battle. He retired to his office, fell on his knees in prayer, then, his composure restored, accomplished his task. At noon, he led the troops up Yonge St to the music of bands and the cheers of citizens. The rebels were soon put to rout, after which, on orders from Head who had accompanied the troops, John Montgomery*’s tavern and the house of rebel David Gibson were burned. Next day, FitzGibbon, deeply wounded by Head’s treatment, resigned as acting adjutant-general of militia. He served as judge advocate, however, in the 1838 court-martial that followed the rebellion. The remaining years of FitzGibbon’s life were marred by bitterness and his persistent struggle to achieve financial stability and the reward that eluded him. FitzGibbon had been in financial trouble throughout his life. His debts had started to accumulate in 1806 when he had to equip himself as ensign and adjutant, and every army promotion led to additional expenses. He had his sons educated at Upper Canada College and in law and generally lived beyond his means. The Bank of Upper Canada threatened to sue him in 1843 for money he had borrowed to pay some of his creditors, but the threat was never carried out. In May 1838 the citizens of Toronto held a public meeting and expressed gratitude to FitzGibbon for “rescuing them from the horrors of a civil war,” but the financial gift they proposed to raise by subscription never materialized. The imperial authorities objected to the 5,000 acre land grant requested of the queen by the two houses of the Upper Canadian legislature in 1838, and instead suggested that FitzGibbon be given a pecuniary reward for his civil and military services. A bill designed to overcome the objections was passed in 1839 but was disallowed, and a similar bill in 1840 was ignored by the British government. Appeals on FitzGibbon’s behalf from Sir Augustus D’Este, a grandson of George III, to the colonial secretary, Lord Stanley, and from governors general Sir Charles Bagot* and Sir Charles Metcalfe* to the legislature of the united Canadas were also ignored. Members of the legislature from Canada East had no personal interest in FitzGibbon but agreed to support any pledge made by the former Upper Canadian assembly. Only in 1845, however, did the legislature reward him with the sum of £1,000, which was half the total of FitzGibbon’s debts and less than half the estimated value of the land grant originally proposed. FitzGibbon tried in vain to persuade the British government to supplement his reward, arguing that he had saved Upper Canada for the empire. In 1847 he assembled all his documentation in a pamphlet entitled An appeal to the people of the late province of Upper Canada, but this achieved nothing. 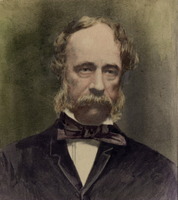 In 1841 FitzGibbon had become clerk of the Legislative Council of the Province of Canada, but increasingly he absented himself from the office while continuing to draw his salary. 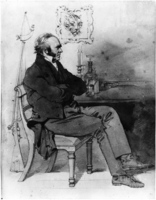 His physician, Dr William Winder, said of FitzGibbon in 1845 that he had a “temperament highly sanguine and nervous,” which, along with “disappointments and distresses of no ordinary character,” had produced “a state of mental irritation, prostration, and despondency, and loss of memory. . . .” He had become querulous and bitter, and was his own worst enemy. The council lost patience in 1846, declaring that FitzGibbon had “virtually transformed the Office into a sinecure,” and retired him on pension. FitzGibbon had been a conscientious, capable, and zealous public servant until he became overburdened with debt and obsessed by the injustice of the long delay in granting him his well-earned reward. He was intensely loyal and had a keen mind but he lacked the education, social background, and wealth that would have enabled him to penetrate the higher ranks of office in the army or government. He went to England in 1847 and did not return. 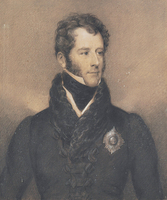 Through the influence of Lord Seaton [Colborne], FitzGibbon was accepted in 1850 as a military knight at Windsor Castle. There he lived on a small allowance in comfortable quarters provided by the crown, using his Canadian pension to pay off his debts. FitzGibbon died at 83 and was buried in the crypt of St George’s Chapel. MTCL, James FitzGibbon, “Narrative of occurrences in Toronto, Upper Canada in December 1837.” PAC, MG 24, A13, 3, pp.409–11; MG 29, D61, 7, pp.2980–3019; RG 5, A1, 46, p.22487; 78, pp.41932–34; 84, pp.45661–63; 87, pp.47608–9, 47619–20; 97, pp.54439–46, 54452–55; 116–17, pp.65533–36; 128, p.70543; 166, pp.90524–31; 167, pp.91357–743; 194, pp.108276–80; 205, pp.113624–26; C1, 82, no.2887; RG 7, G16, C, 36, pp.162–69; RG 8, I(C series), 679, pp.130–42; 684, pp.198–99; 686, pp.121–29; 924, p.24; 1170, pp.58, 281–82; RG 68, 4A, 77–79, 83, 112, 114, 151. PAO, Robinson (John Beverley) papers, “Notes on the rebellion of 1837, December 7, 1837” ; Tupper (F.B.) papers, correspondence, FitzGibbon to Tupper, 1845–50. PRO, CO 42/373, pp.134–69; 42/439, pp.436/38A; WO 12/6035–44. “Battle of the Beaver Dams,” Niles’ Weekly Register (Baltimore, Md. ), X (March–September 1816), 119–21. Can., Prov. of, Legislative Assembly, Journals, 1844–45, 102, 396, 400; Legislative Council, Journals, 1846, 134, 183, 186–87, 199, 205–6, 211. Canadian Freeman (York [Toronto]), 15, 22, 29 July 1830. The documentary history of the campaign upon the Niagara frontier in the year 1813, ed. E. A. Cruikshank (Welland, Ont., 1902). Documents, selected from several others, showing the services rendered by Colonel FitzGibbon, while serving in Upper Canada, between the years 1812 and 1837, [comp. A. F. D’Este] (Windsor, Eng., 1859). [James FitzGibbon], An appeal to the people of the late province of Upper Canada (Montreal, 1847); [ ], “The history of a life,” London Rev. and Weekly Journal of Politics, Literature, Art and Society, I (1860), 62–63 (repr. in Morgan, Sketches of celebrated Canadians, 192–96). Patriot (Toronto), 3 Aug. 1838. U.C., House of Assembly, Journal, 1838–40. E. A. Cruikshank, The fight in the beechwoods, a study in Canadian history (2nd ed., Welland, Ont., 1895). Dent, Upper Canadian rebellion. M. A. FitzGibbon, A veteran of 1812; the life of James FitzGibbon (Toronto, 1894; repr. 1972). Ruth McKenzie, Laura Secord, the legend and the lady (Toronto and Montreal, 1971). [A. B. Murphy] Jameson, Winter studies and summer rambles in Canada (3v., London, 1838), I, 126–33. J. R. Robertson, The history of freemasonry in Canada from its introduction in 1749 . . . (2v., Toronto, 1899). F. H. Armstrong, “The York riots of March 23, 1832,” OH, LV (1963), 61–72. J. K. Johnson,.” Colonel James FitzGibbon and the suppression of Irish riots in Upper Canada,” OH, LVIII (1966), 139–55. Ruth McKenzie, “FitzGIBBON, JAMES,” in Dictionary of Canadian Biography, vol. 9, University of Toronto/Université Laval, 2003–, accessed April 24, 2019, http://www.biographi.ca/en/bio/fitzgibbon_james_9E.html.